LDA uses meetings, seminars, conferences and exhibitions to raise awareness in health professionals as well as the general public. – Raising awareness amongst delegates. Physiotherapy UK – Chartered Society of Physiotherapists, Fri-Sat Oct 19-20 2018 – at the ICC Central Birmingham. Presentation to clinicians and researchers. Science of Lyme disease vectors, hosts etc. Event considered the impact and future of the JLA. Awareness raising with Duke of Edinburgh Award leaders. Discussed participation in MedLearn event. University of Exeter, July 24, 2017. Discussion with molecular biologists and researchers. Provided information for Department of Health reviews. University of Exeter, July 8, 2017. One more successful LDA annual conference with many interesting discussions both in and out of the conference hall. Raised awareness with E Anglian Duke of Edinburgh Award exhibition leaders. 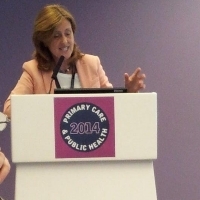 Attended this major Primary Care Exhibition at the NEC to raise awareness amongst health professionals. Thomas Hardye School, Dorchester, May 8 2017. Celebration of the Royal Society Tick project with staff, students, stakeholders and invited audience. GP Refresher Course May 8 2017, Imperial College London. A one hour talk on Lyme disease for GPs. Joint Royal College of Pathologists / PHE Conference, April 6 2017, London. LDA’s Medical Director gave a talk to infectious diseases doctors and microbiologists on the challenge of Lyme disease. Department of Health, April 5 2017, London. A meeting with the Department of Health. Devon Partnership NHS Trust, April 3 2017. LDA’s Medical Director provided a presentation on Lyme disease to psychiatry colleagues at the Medical Advisory Committee Meeting. First Aid Conference, March 3 2017, Dunfermline. We provided first aid providers and trainers with information on ticks and tick removal via two workshops at this conference. Ticks & tick-borne disease February 17 2017, Birmingham. Round table discussion with vets and Bristol University’s Big Tick Project. Follow on discussion at Rare & Imported Pathogens Laboratory with laboratory staff and clinical scientists about testing. Following a request by this local group, we provided an awareness talk about ticks and Lyme disease. At a meeting organised by Sir Hugo Swire MP, LDA briefed MPs on the current difficulties facing Lyme disease patients in the UK. LDA Annual Conference, September 17 2016. This was held at Cambridge University. See our LDA conference page for details. Meeting at RIPL, September 6 2016. Discussing the interaction of the LDA help desk with patients, the NHS and PHE. To discuss possibilities for research projects relating to immunological responses to tick-borne disease. Dr Sandra Pearson presented a talk “Tick-borne disease – the human perspective” to this group of mainly tick and veterinary experts. The meeting was part of the Big Tick Project with MSD and Bristol University. Dr Sandra Pearson, LDA’s medical director, talked live with Paul Norrish to raise awareness of ticks. This has now been added to Hiblio’s collection of health related videos on a number of topics. See our news item. A meeting to explore possible research projects. 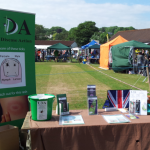 Raising awareness and funds; demonstrating and selling tick removers; answering questions from people about ticks and Lyme disease. Discussing progress and strategy for the next 6 months. The fifth year LDA has had a stand at this exhibition for health professionals working in Primary Care. Excellent awareness opportunities as well as networking with other organisations, including publishers of medical journals. An awareness session in Sidbury village hall freely open to everyone. Approximately 36 people attended from local councils, walking groups and others. Discussing testing and research projects with staff at the Lyme disease reference laboratory at PHE Porton. We didn’t travel to this, but commenting on the draft scope of the Lyme guideline took a lot of time and effort. We submitted 56 comments and we hope the scope will be changed as a result. Discussion with the Microbes and Disease group with a view to sharing information and perhaps developing a research partnership. Presentation and discussion “Lyme disease: what everyone needs to know”. About 50 members in the village hall – two who had had Lyme disease and several who knew someone else who had been affected. The local Woodbury common is clearly a hotspot for ticks and the tubes of ticks were passed round with great interest – especially the one with the tiny nymphs. A meeting to present our point of view and to discuss Lyme disease research projects and possible ways forward with staff from RIPL and from the Health Protection Research Unit for Emerging and Zoonotic Infections at the University of Liverpool. Workshop for stakeholders to discuss the scope of the planned NICE guideline on Lyme disease. See our news item for a summary of what took place together with some links relating to the NICE guideline process. Presentation and discussion forum for University of the Third Age Lyme Regis Science and technology group. Approximately 40 people gathered to hear the presentation on “Who does what to whom” covering some science of the interaction between Borrelia, ticks, hosts and humans. Presentation and discussion forum for University of the Third Age Science group. We presented a poster at this conference (yes, another – the 2nd in 2016!). See news items for the poster itself and a summary of proceedings. Teleconference with the President and CEO of the USA organisation Global Lyme Alliance to discuss key areas of mutual interest. The annual conference of the Health Protection Research Unit in Emerging Zoonoses and Infections, Liverpool. 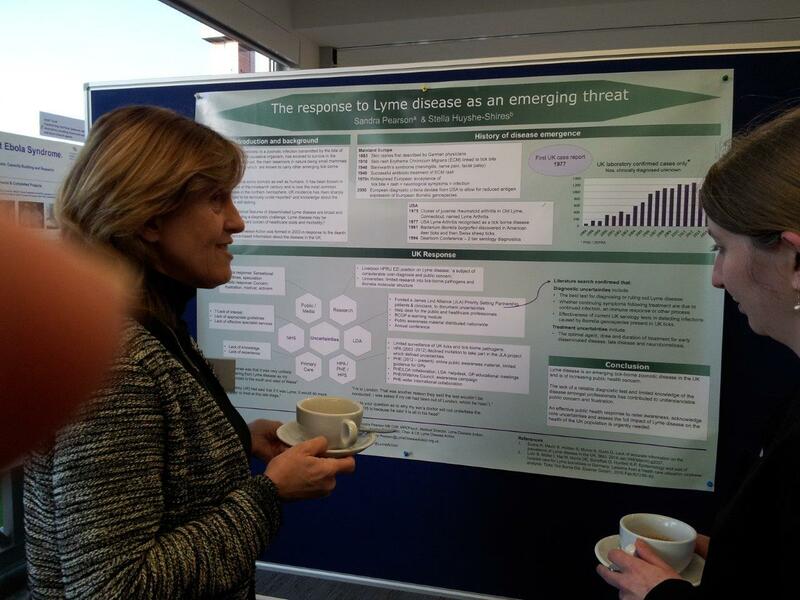 LDA presented a poster – “The response to Lyme disease as an emerging threat”. 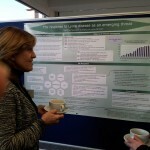 Read the report of the conference, and read our poster in latest news. Presentation “Lyme Disease: who is doing what to whom?” followed by a discussion forum. These events are always interesting as members of the public ask quite searching questions. This particular event resulted in one person realising she had had inadequate treatment and another person questioning his diagnosis of polymyalgia. Participation, networking and discussion. See Sandra’s report on the presentations in latest news here. Presentation on “Lyme Disease” and question session requested by the CCG to help nurses’ education and awareness. Presentation and discussion forum “Lyme Disease: who is doing what to whom?” Always an interesting and varied discussion after these presentations. Live ticks continue to be an eye-opener for many. First time attendance at this major outdoor show. Not convinced it was worth the effort as at a big show like this people were more interested in the stalls selling stuff and generally having a good time. We did manage to interest some children in the live ticks, though! Continued presence at this large primary care exhibition continues to be fruitful. Many GP Practices asking for leaflets. Contacts made with medical journals – several articles in Nursing journals resulted from this. Presentation “Lyme disease” and question session. Very worthwhile and great to be invited. The GPs could see that if they wanted knowledgeable answers, they could ask LDA. Presentation “Lyme disease: delving into dependent relationships”. Discussion forum on all aspects of Lyme disease. Third year of attending the large exhibition at this conference, and another very good response from GPs and other health professionals. For the third year we manned a stand at this exhibition. We also managed to get a presentation slot in the Public Health stream of the conference and our medical director was able to give an outline not just of Lyme disease and the uncertainties, but of the political difficulties that have shaped the current stance of doctors in the UK: Lyme disease; now you see it, now you don’t. Held in Stavanger, this conference brought together about 70 heath professionals and researchers for discussions on tick-borne diseases. LDA had been invited to talk about the James Lind Alliance project prioritising known uncertainties in diagnosis and treatment of Lyme disease. A summary of the presentations is on our latest news pages. LDA contributed to this conference. This was the first Lyme disease conference held by PHE, and it is to be hoped there will be others. It was attended by clinicians, patients, health administrators and researchers. Brief notes and speakers’ presentations are available in our news item. This is the second year LDA has attended this national exhibition which attracts medical professionals from across the UK. 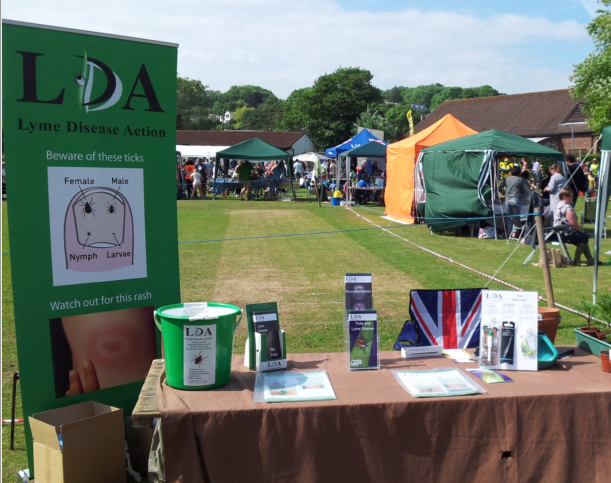 Recent publicity, resulting from the Worldwide Lyme Disease protest, and also just the time of year, had raised some awareness of Lyme disease and many people stopped to watch our rolling presentation. It was surprising how many people asked about their own personal cases, or cases of relatives; if you hadn’t been told that Lyme disease is rare you would think it quite common! The conference itself had some interesting presentations, including Emerging Infectious Diseases – What’s on the Horizon? Lyme disease, it appears, is not and is overshadowed by some very nasty viruses out there which may or may not reach the UK. If just a small proportion of the resources expended by UK organisations on currently exotic diseases was devoted to Lyme disease, we might be a lot further forward. “I’m a GP in a rural practice; I’m seeing a lot of these cases.” (Generally Scotland but also Hampshire, Wiltshire and other areas too) Many struck by the 56% sensitivity of testing and agree not sensitive enough. “I have a number of patients who say they think they have LD” GP sceptical but wanting to know more and interested in the issues. A few discussed specific patient cases where they had perhaps wondered. During the discussion eyes got wider and in many cases the boxes were ticked and they will have returned with a decision to explore LD and at least get tests. Overall, it is apparent that expertise in LD is vested in GPs – not in ID consultants. This backs up the Cottle et al 2012 paper. The exhibition was a good insight into the issues facing GPs and LDA will take a stand at the RCGP conference in October 2013 in Harrogate.